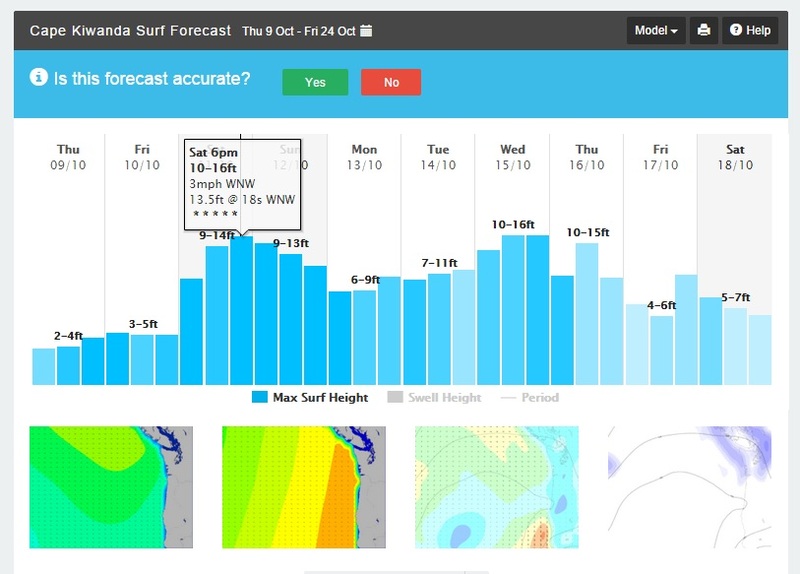 The excitement started at the beginning of last week, when I looked at the wave forecast and noticed 16 feet waves over the weekend on the Oregon coast. I was a little nervous since I have never surfed waves that big. 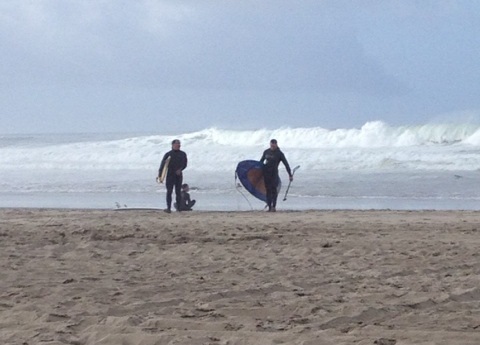 The biggest I’ve surfed were 10 footers, and already I thought they were big! 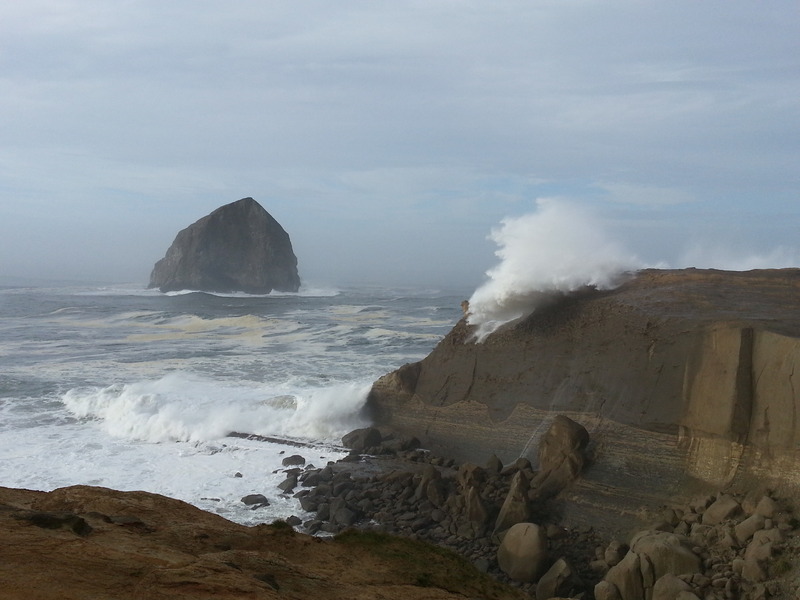 Little did I know then that once I get to Oregon, the waves would be as big as 20 feet high! Friday morning, I packed my bag, got all my SUP surfing equipment, and headed on public transit to meet up with Carrie at her work. We could then take her car straight across the border for the 8 hour drive from Vancouver, BC to Pacific City, Oregon. 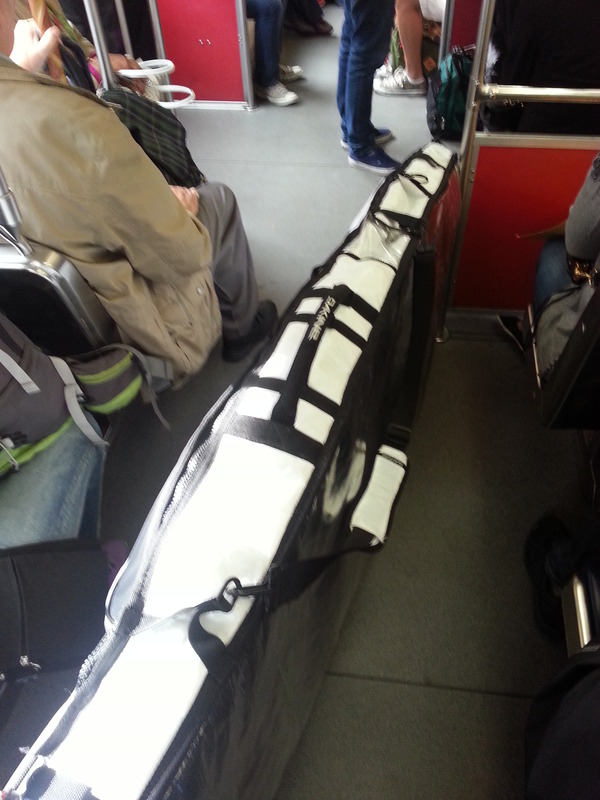 Taking all my equipment on public transit was extremely cumbersum, I’m sure I annoyed tons of people, but they were very polite and inquisitive about my SUP surf board and my upcoming trip. The drive to Oregon was long as always, but a good old school playlist, anticipation of the next day’s surfing, and good company made it worthwhile. The following morning, while checking into our hotel, one of the workers was telling me about the local warning that had been issued for the big wave conditions. It gave me chills, but I was determined to try to catch something big that day. After having breakfast at a buffet by the beach, we checked out the surfing conditions. The waves were as big as expected, but it was hard to judge their true size since they were further away from the shore. First, we went to the surf rental shop by the beach so Carrie could rent her surfboard. Unfortunately, they refused to rent any surfboards that day due to the size of the waves. They told us that the waves could be up to 20 feet high at the moment, and they were only getting bigger as the day progressed. When I heard that I felt fear running through my body, a part of me was telling myself that I should stay on shore, and forget about surfing that day. That’s what a smart person would have done, but I felt like I had to do it, especially when I saw a small handful of other people swimming towards the bigger waves. I knew that it was possible to surf those waves since others were going for it. I also knew that my experience wasn’t good enough for those conditions, still I decided to go for it. I got into my wetsuit, got my SUP board, and was ready to jump in! I noticed that one other surfer was on his way to go surf the big waves, so I followed and asked him if it was cool if he could show me the way to get past the white wash. Every beach has a way to get past the white wash. Most of the time this involves catching the rip current by the rocks that takes you out to the bigger waves, which was the case at this spot. He explained to me that once the opening was clear (no waves crashing into the rocks), I had to commit to it and just go and let the rip current take me out there without turning back. I was nervous following him, since the path we had to take was surrounded by rocks and boulders. Once in the water, we waited behind a big boulder for the waves to calm down, I was doing my best to keep my cool and tried to avoid being thrown into one of the bolders and damage my SUP board. As the waves became calmer, he gave me the sign to go, we paddled into the rip current and before I knew it I was out in big wave zone. I paddled out as far as I could from the rocks into a safer zone. My chest was pounding at that time from fear, but I kept telling myself to keep calm, panic doesn’t do anyone any good! After a few minutes I was able to calm myself down and get myself excited to catch a wave! I saw the next set of waves rolling in, and was ready to catch the next one coming. I paddled as fast as I could but I wasn’t going fast enough to catch the wave. As I turned to look back for the next wave, I saw a wave that was much bigger than the one I was just trying to catch. Not only that, I was at the wrong spot of where that wave was going to be crashing! The wave was very big, it must have been bigger than 15 feet. At that moment I knew that I was in trouble, there was no way for me to avoid having that wave crash on me. I took a few deep breaths, and let the wave take me down for a spin. I felt my body tumble inside the wave. I was trying to relax and conserve my oxygen, not knowing how long the wave would keep me inside. After what felt to be an eternity, I was finally able to float up and catch a few more breaths until the next wave took me for another spin. After that set of waves passed, I was able to get up on my board and get back out to where I thought would be a good spot to catch the next set of waves. About half an hour had passed by, a couple other people who had come out had already dissapeared, I’m assuming that they have caught their wave and went back to shore. So I was there by myself, which made me slightly nervous. Meantime I was trying to catch a few waves with no success. I looked out at the horizon and I noticed something big coming. 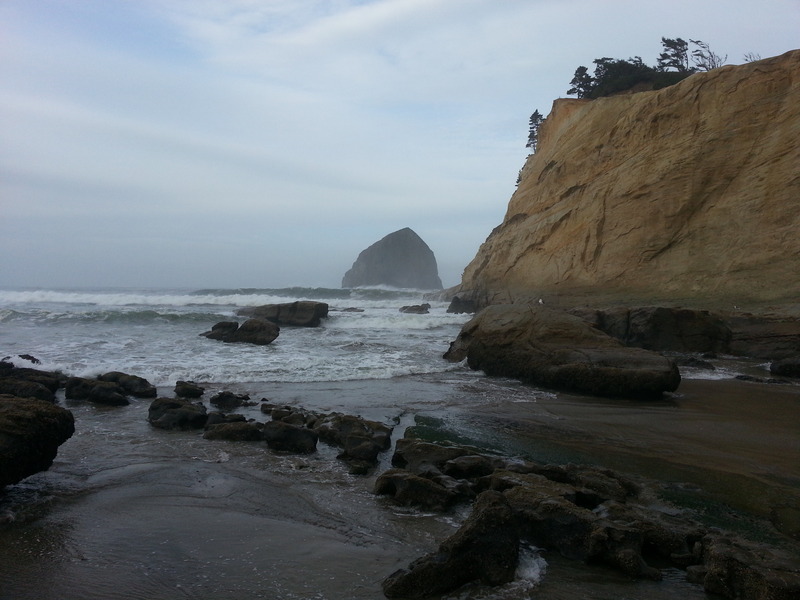 At that time I was contemplating that perhaps I should catch any coming wave, and head back to shore. As that next set of waves was coming, I saw the first one that I was going to try to catch, and once again had no success. 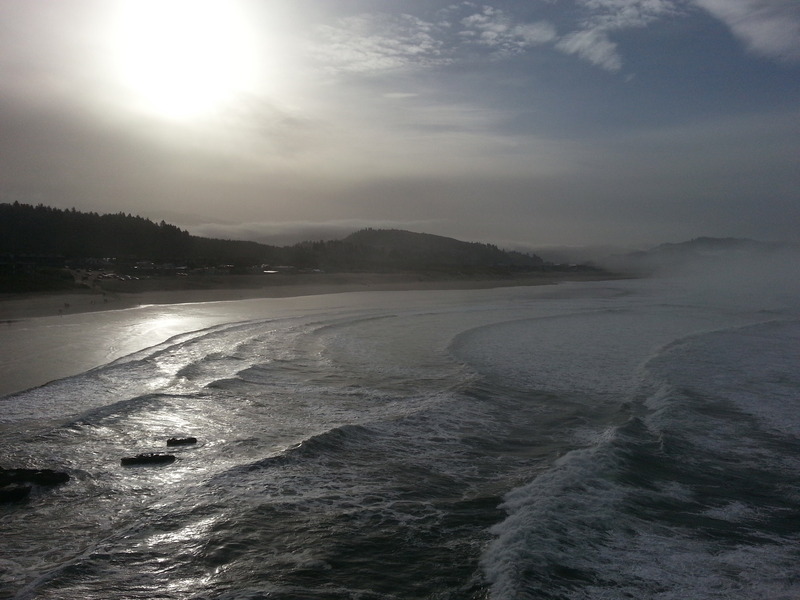 After that wave had passed, I felt the wind drastically picked up, and I saw the next set of waves coming…. Those waves were the biggest waves I have ever seen! They were slowly creeping towards me in the near distance, they were enourmous, at least 20 feet high! At that moment I knew that I had to get away from the breaking point, there was no way I wanted to get swallowed by that monster! I was paddeling as fast as I could to get away from the breaking point! Luckily, it barely missed me and it broke right beside me. I was able to feel the force of that monster that I nearly missed. I had to do the same thing with the next couple waves that were just as big, if not bigger… After those waves passed, I decided that I’m not ready to be riding in these conditions yet. I will need at least a couple more years of experience to ride monsters that big! As I headed to shore, was feeling a little dissapointed not to have caught a big wave, but at the same time happy to have experienced that experience without drowning. 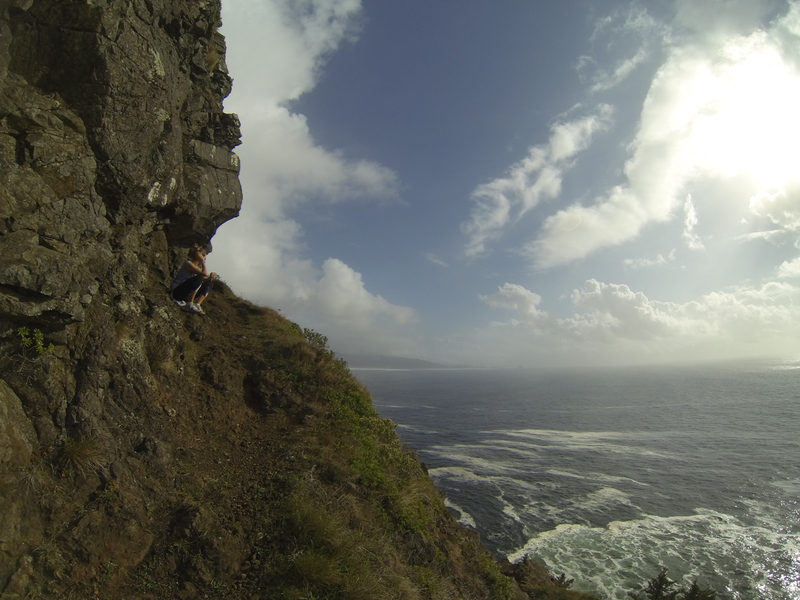 The rest of the weekend, we decided to go on a hike and watch the waves as they were crashing on the side of the cliff. It was a sight to be seen! 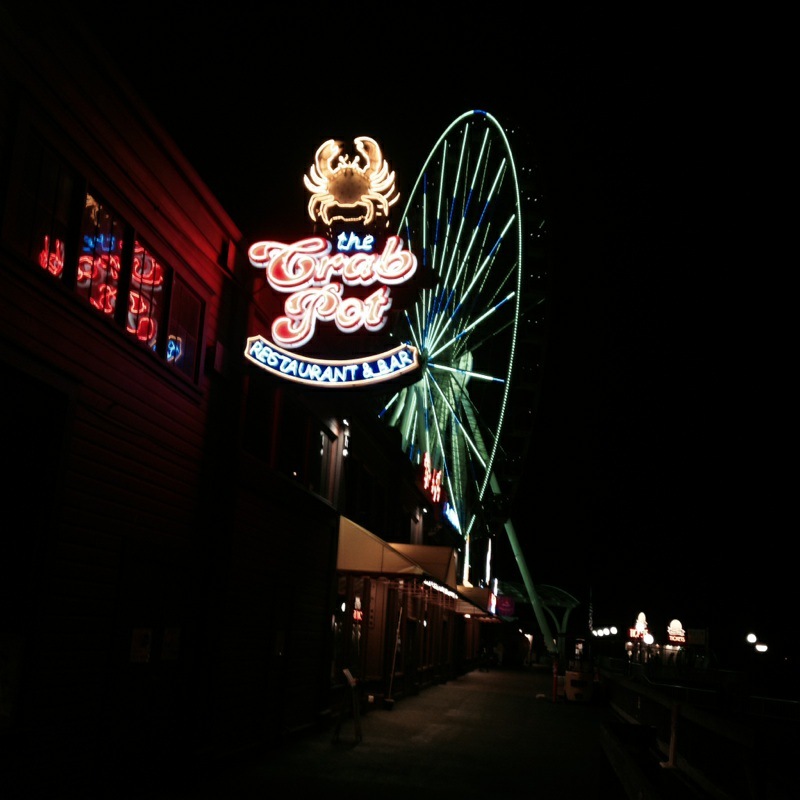 Sunday night, we drove to Seattle to go to a restaurant called “Crab Pot.” I gotta say, the experience of eating there was amazing! 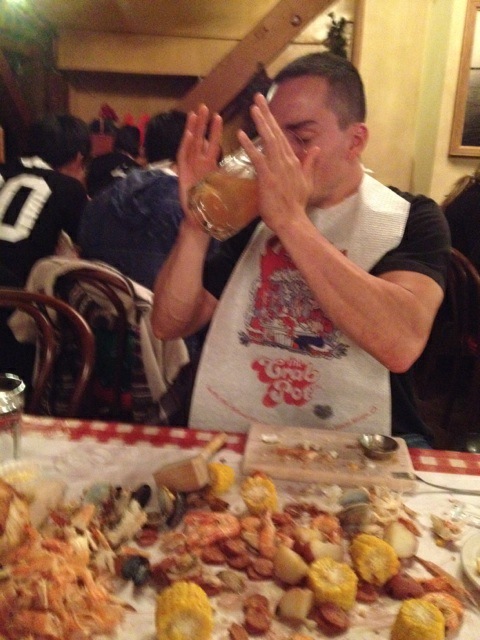 I stuffed myself with so much delicious food, it was very painfully gratifying! Next day we drove home… Even though I didn’t get what I came to Oregon for, to ride a huge wave, I still think that the experience was worth it! Really fun weekend overall! Wow! Those waves sound intense! I never knew that surfers sometimes have to use rip currents, super interesting! 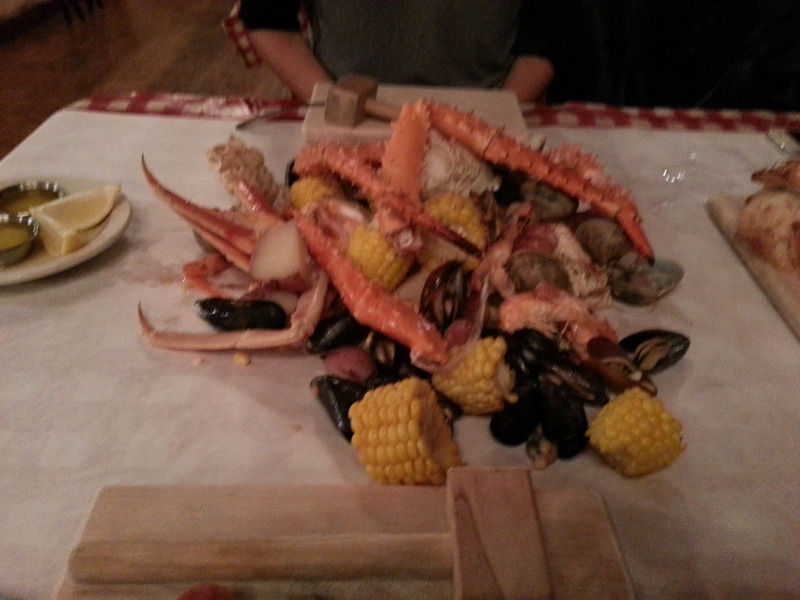 Sounds great…..and I would have loved to have been with you eating those crab legs! Thank you for sharing your adventure and beautiful pictures.